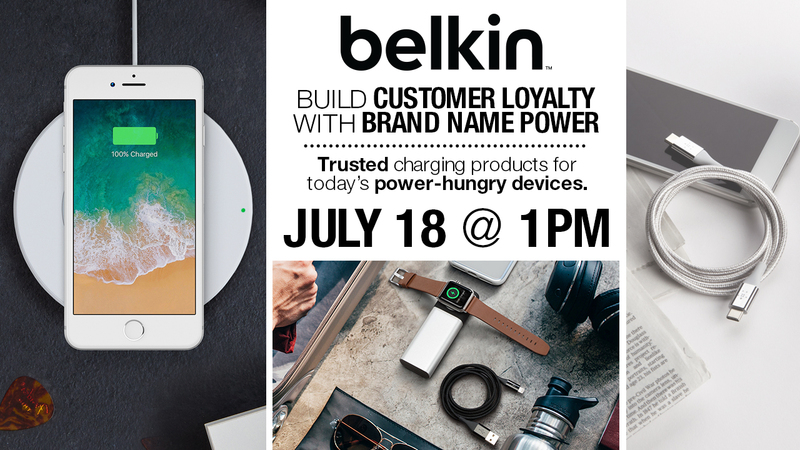 This archived webinar powered by VoiceComm and presented by Belkin showed participants how to build customer loyalty with brand name power. At Belkin, they hold themselves to the highest safety and quality standards, to deliver the best charging products for today’s power-hungry devices. They have developed a family of products that stands out on retail displays, and a global brand name that carries with it a high level of trust with consumers and those who resell their products. Belkin’s goal is to deliver an elevated consumer experience, that will result in loyal customers returning to your retail stores as a source of Belkin power. A bonus giveaway was offered to attendees; this month a Belkin 10W charging stand was the prize. Make sure you sign up for and attend future webinars to qualify for other great prizes.